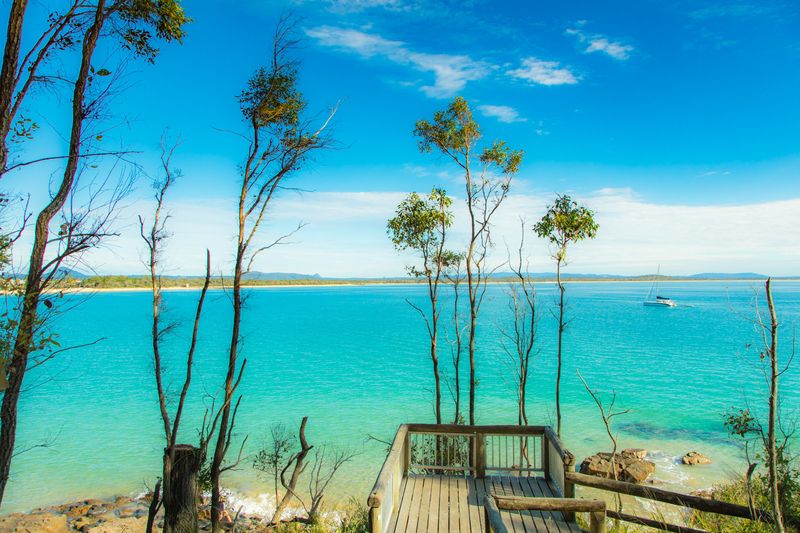 I’ve been visiting Noosa since I was a Melbourne schoolgirl escaping the cold in the September holidays with my family. I’ve lost count of how many times I have been here, but one thing is for sure, I never tire of coming back. I have been so lucky to have travelled a lot in my life, all around the world and the more I travel, the more I want to explore new places. There are many places I have been where I consider it a tick off the bucket list, “been there, done that”, never to return. 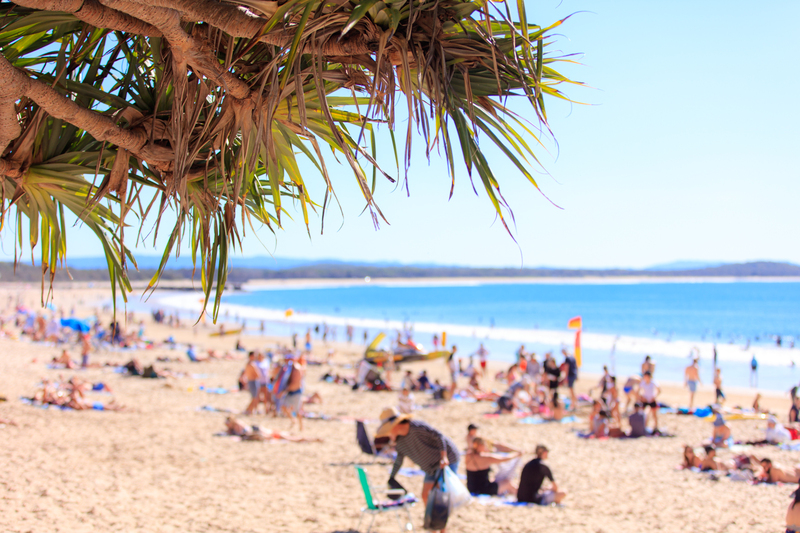 Noosa is most definitely NOT one of those places. 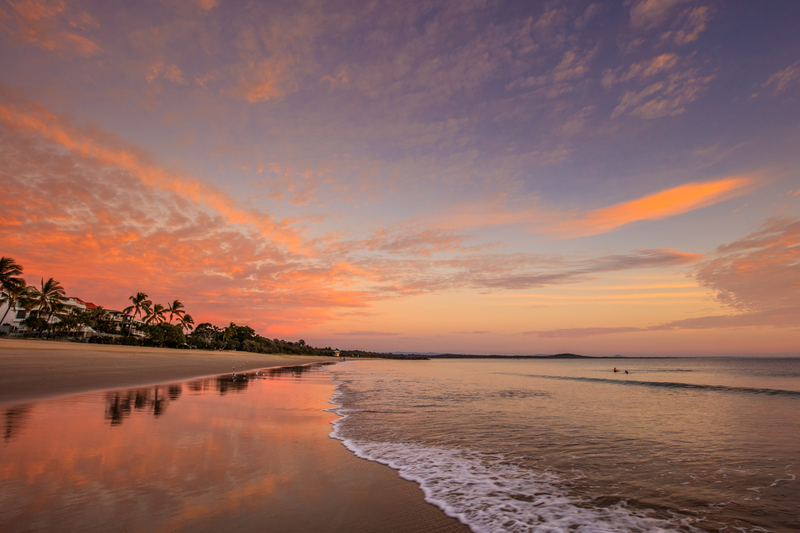 Noosa is somewhere I am constantly drawn back to. But why? I hear you asking. 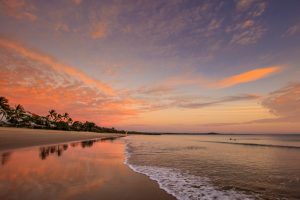 What is it about Noosa specifically? If you have never been (honestly, why on earth not), Noosa Heads is a little seaside cove, only accessible by one road in with the Noosa National park at the end of the main street. It has the feel of being on the French Riviera or Italian coast. There is a poise and class about this location that makes you feel special when you visit. 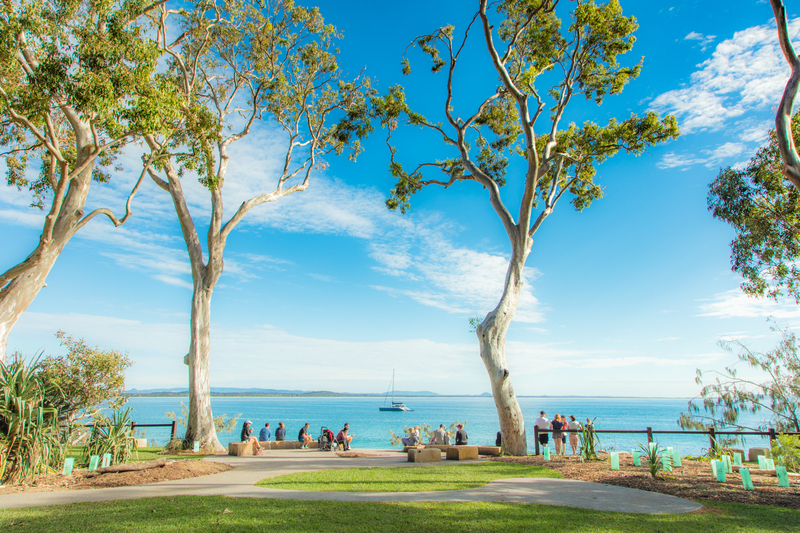 Hastings Street and Noosa Heads has an elegant little village feel with everything you need. Once you arrive and park the car, you can forget driving for the rest of your stay. I think that’s one of the things I love. Sure there are plenty of things to see and do in the surrounding area (and that is another complete story), but with life so busy, when I’m on holidays, sometimes its nice to just park the car and park yourself. Where to stay for me is anywhere on Hasting Street or between Hastings Street and the National Park. This is the prime location and worth treating yourself. It also means that everywhere you want to go is within walking distance. You can really splash out and go for 5 star luxury on the beachfront. I’ve stayed in quite a few and they are all good, but my absolute favorite is Seahaven located on one side of Hastings Street and backing on to Noosa Main Beach. It’s up one end of the street so a little out of the hustle and bustle (which can get crazy in peak season) and the same for the beach, you are a little removed from the “day trippers” and the crowds. It’s a bit more exclusive although only a short walk down towards the Surf Club if you have young ones and want to swim between the Flags. Seahaven is modern, large style apartments with plenty of space and 3 swimming pools ideal for an afternoon dip after a day at the gorgeous Noosa beach or a lazy day under one of the umbrellas with a book. Yes it is pricey, but well worth treating yourself and if you aren’t restricted to peak times (like the school holidays with children), there are great deals available. 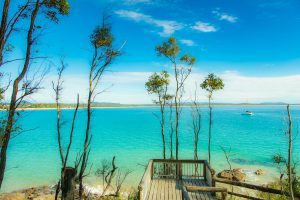 If your budget wont stretch to the beachfront the other side of the street is still prime location wise, just without the beach view, and often half the price. 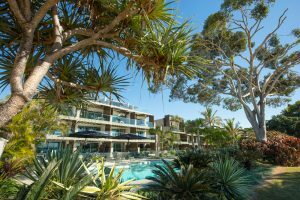 A great family location is the Mantra French Quarter, which is on the corner of Hastings Street and Noosa Drive with a newly refurbished pool area it’s great value. Eating while in Noosa is another delightful treat. 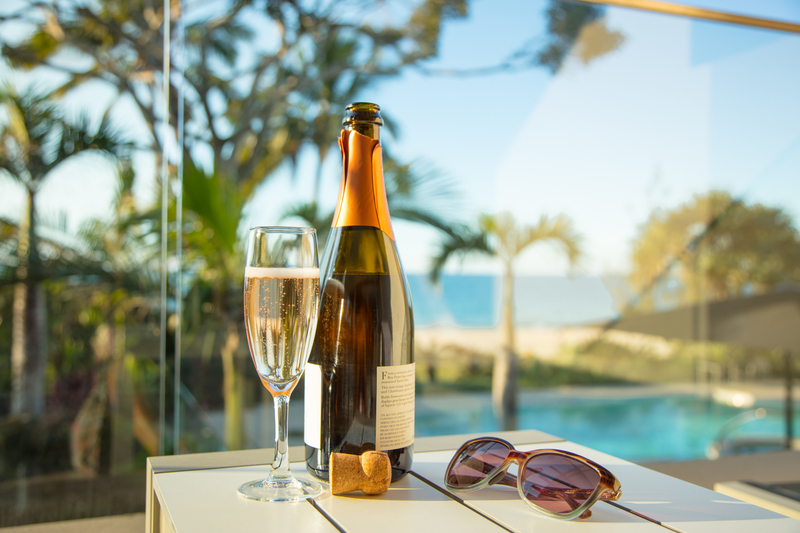 You can go full budget cheap eats and have takeaway pizza or fish & chips sitting on the beach or enjoy your balcony views from your hotel. 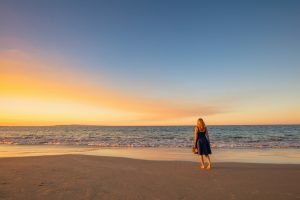 Lots of people seem to do this and hey, why not when the beach is so gorgeous, particularly at sunset. 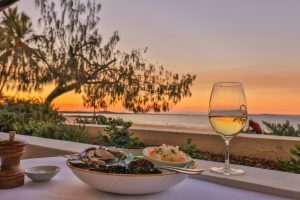 It is also a great idea when you are in Noosa for a period of time and don’t want to sit down for a restaurant meal every night. Some of my favorite places to eat in Noosa are Nosh, about half way down Hastings Street tucked in next to the Supermarket. Really great fish and chips but also a huge selection of really delicious and fresh salads – kinda like a bit of naughty and nice together. The Bakery in this same location does great bread, cakes and pies etc. so perfect for a quick snack. Blended a little further up on the other side of the street makes the most amazing Acai Bowls. 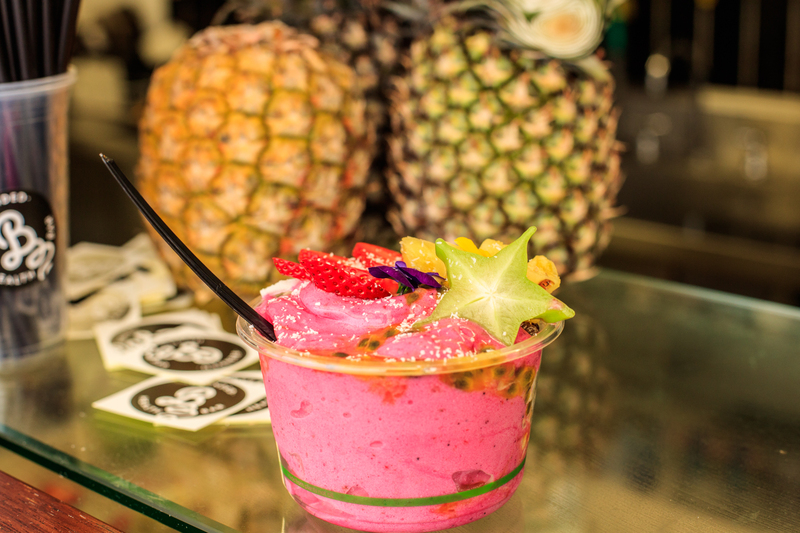 What sets them apart from a standard Acai is their huge selection of “Blended bowls”. Anything from dragon fruit (my star pick), Green, Choc dream and heaps more. Also great for coffee and smoothies, protein balls etc. 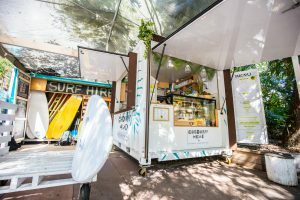 Staying on the healthy theme, Coconut Head down near the National Park next to Café Le Monde looks like a pop up store but having opened in December 2016 this place is most definitely here to stay. The most delicious vegan food and specializing in smoothies, wraps and an in-house made fermented drink ideal for cleansing called “Juno”. Once you have all this clean healthy food in your system, head across the road to Providore, a modern style café with excellent coffee, snacks and great gourmet groceries such as olives and even meats for the barbeque (every hotel I have stayed in either had a barbeque on my balcony or within the hotel grounds). Providore is perfect for an early morning “Made in Noosa” coffee blend or they are also licensed so you can enjoy an afternoon wine with some of their delicious cheeses and snacks. 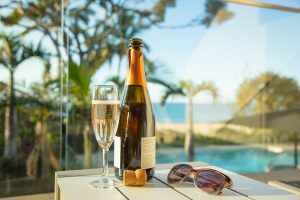 If you are looking for something a bit more special, my number one favorite restaurant in Noosa Heads is Seasons (under the Tingerana Hotel on the beach). It boast modern, local seafood and it certainly delivers. Located right on the beach, it is the perfect place to enjoy a 5 star meal with a 5 star view. My particular favorite is the seafood antipasto. This is a selection for two (although I did eat it on my own as a main) with a selection of warmed seafood of tempura oysters, crisp skinned salmon, prawns and salt and pepper squid, all with the most amazing sauces to accompany. I’m getting hungry again just thinking about it. I have tried many other things on the menu, but as a seafood LOVER, this really is to die for. 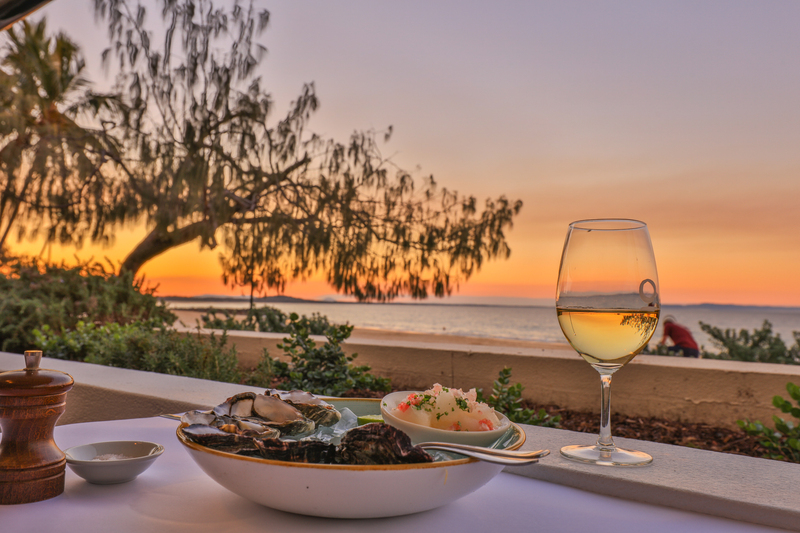 You must drive to Noosa just to taste this dish! The food on offer in Hastings Street offers so many places to eat of varying budgets from great pizza at El Capitano pizza above Café Le Monde, casual café style food at Providore (and my favorite place for coffee) and European style eating at Aromas, a French inspired café with all the chairs facing the street so diners can watch the passers by. 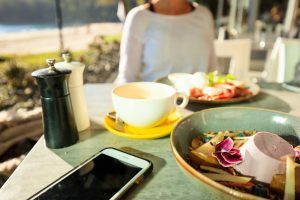 There are so many other places to eat and I am still finding new ones every time I visit, so I urge you to try as many as you can as there are the institutions that have been around for years, but also new eateries popping up all the time. One thing is for certain though, there are plenty of very expensive, trendy hard to get into restaurants, but these are not necessarily the best. You can find some great value meals without always paying top shelf prices. Once you have found a comfortable lounge by the pool, eaten your way through the cute little cafes and eateries, its time to work off some of that indulgence. 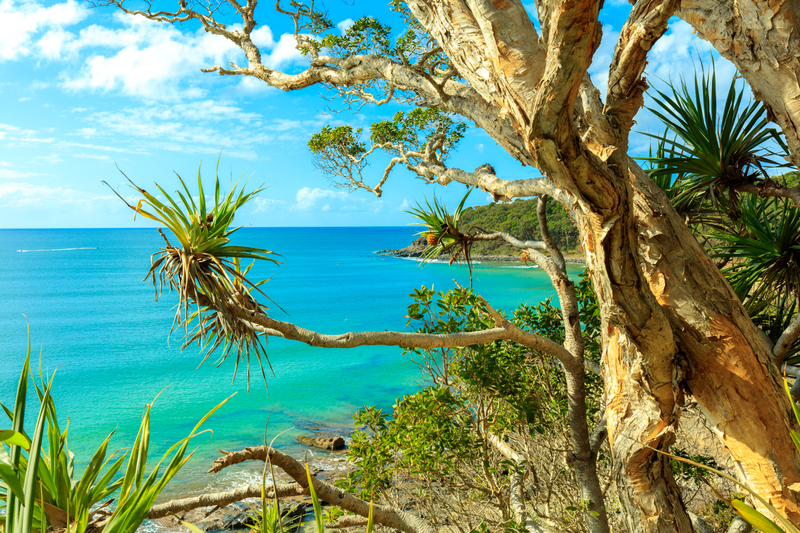 You cannot visit Noosa without a trip to the National Park. Take the time to walk as far around the headland as you can because it is truly one of the most picturesque views. The National Park walk starts just past Little Cove, (a perfect place for a dip while your there) and takes you along a cliff walk around the coast line to the headlands all the way to sunshine beach which is around 7 km round trip. The first few kilometers are wheelchair and pram friendly but after that you need to take care, particularly close to the edges if you have children as there can be quite steep drops. A bit tricky to find, but well worth the effort, as well as a very popular tourist spot, is the Fairy Pools in the National Park. They are down past Granite Bay and before Alexandria Bay roughly a 20 minute walk from the entry to the park. There is no sign, however you often see people from the path sitting on the rocks up high. You pretty much will find a bench seat on the outside of the path on a bend between the two bays and from here, you can see a path way down. You have to climb down around the rocks as you can’t actually see the pools from the path. I warn you now, the fairy pools can be a bit tricky to find (or maybe that was just me) but once you know where they are, you will return time and again. 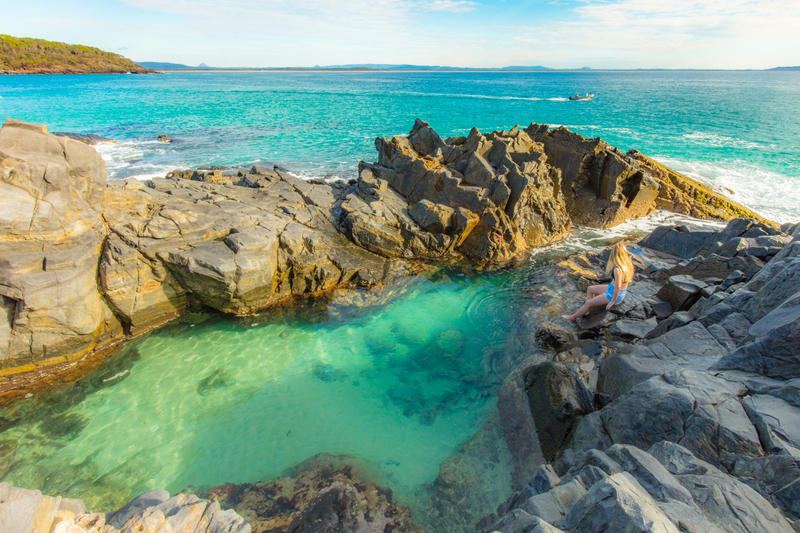 If you go to Noosa, it is pretty much a given that you get a selfie from the fairy pools. I remember the first time I even heard of them was from a local and I was texting and calling at regular intervals navigating my way through the park trying to find them, but I guess half the fun of an adventure is in the journey, right? 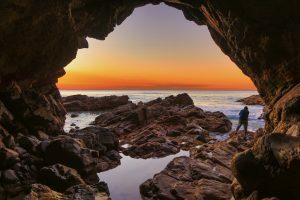 After a visit to the National Park, a quick dip at Little Cove on the way back and maybe some relaxing time in the sun, it’s time to hit the shops. 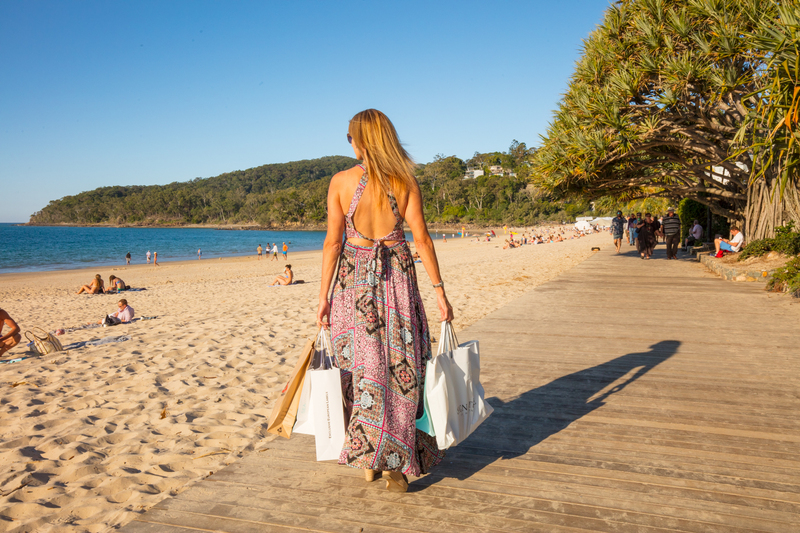 The great thing about shopping in Noosa is that there are many boutiques that are unique to this place. You can wander up and down Hastings Street, stopping for the obligatory coffee or smoothie along the way, and weave in and out of the various shops. Of course there are your regular staples like Gazman, Tigerlilly, Peter Alexander, Witchery and more, but my favorites are some of the long standing boutiques. 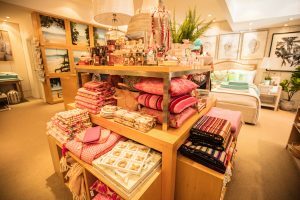 For home wears, Signature has been in business for 26 years and holds a treasure trove of magnificent items for your home, anything from candles and knick knacks, to throws, towels and blankets. Owned by Gail Hinkley she is renowned for her unique coastal style. Every visit I manage to pick up a something new for home. 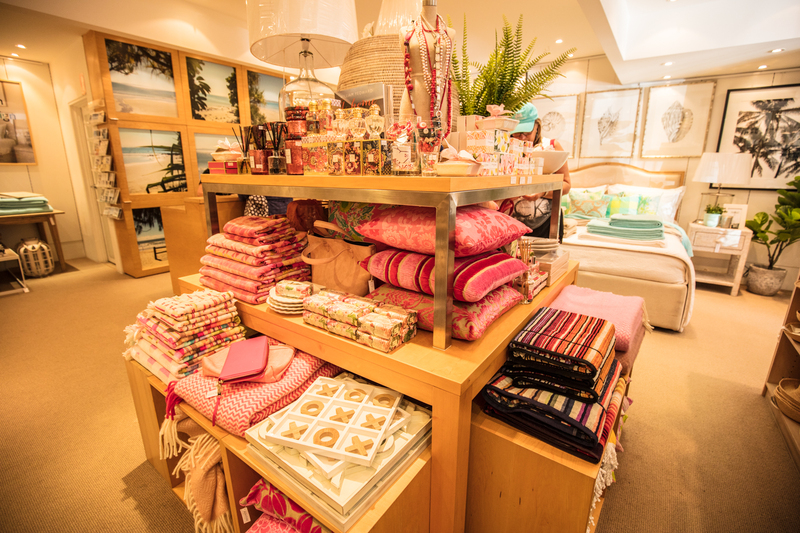 For other home wears you will enjoy Hearts and Minds gallery, even just for a wander. Original jewelry and home wears mostly locally handcrafted so its great to find a little gem you can take home with you. Being on the beach, of course there is Longboards and Sea Element for casual beachwear. I found some gorgeous clothes in Bow and Arrow with brands such as Alice McCall, Nobody Denim and Karen Walker. Finally, one “must stop” shop is most certainly Eliza’s boutique. The first time I saw this shop I passed it by as its tucked away and tiny little store, but make sure you stop in, and allow plenty of time because Eliza herself is likely to greet you and each time I go in, I usually let the time pass as I chat for ages letting Eliza and her wonderful staff of stylists help me find treasures that will become favorites in my wardrobe. Many of their labels are the latest fashions from Europe, only available in this quaint store in a corner of Queensland. Ladies come from all over Australia to shop here so I promise you, a visit to this store and you will not walk out empty handed. I know by now you must feel exhausted from all the eating, shopping, walking and talking, and this is without even getting in the car! This however was all stretched out over a leisurely few days. The thing that keeps me coming back to Noosa is that I can completely stop, relax and take things at my own pace. 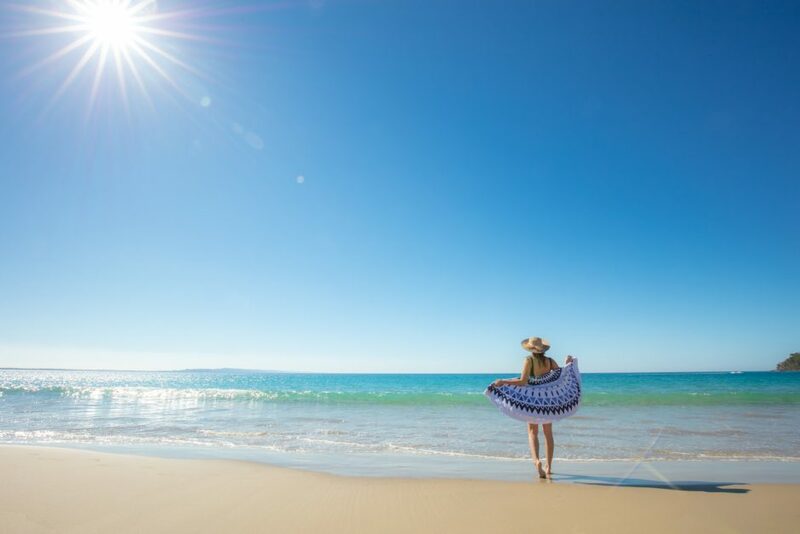 Whether you choose to just lay on a lounge chair by the pool and not move for the day, or venture out on a unhurried walk in the lazy Queensland sunshine, you leave Noosa feeling like you have travelled to Europe and back without the jetlag. Yes, it does get busy in the peak holiday months, but Noosa is perfect all year round and somewhere that even as I am driving out of Hastings Street and up the hill, I am already planning when I am going to visit next. It’s my little pocket of pampering and recharging my batteries that just seems to send me into relax mode from the minute I drive over that hill and see the beach in front of me.